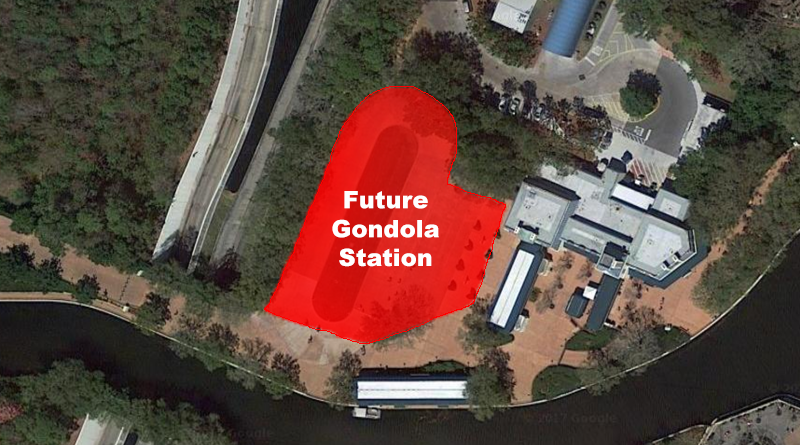 Earlier this year, the DIS reported on the confirmation, made by the Orlando Sentinel, that a gondola system was in fact coming to Walt Disney World. We are now seeing the beginning of the construction of that gondola system. Construction walls have popped up surrounding what used to be the International Gateway lawn. This construction does not block off guests from access to the ticket booth, the Friendship Boat launch, or any access to the Epcot resort area. For now, the International Gateway will operate as it normally has, but if anything changes we will be sure to report on that.